"Living with wood brings tactile comfort to every day, warms any interior and will give your home a sense of soul that is so often lacking in this age of mass production." Photo from the book “Made of Wood” by Mark og Sally Bailey, photo by Debi Treloar, copyright Ryland Peters & Small. 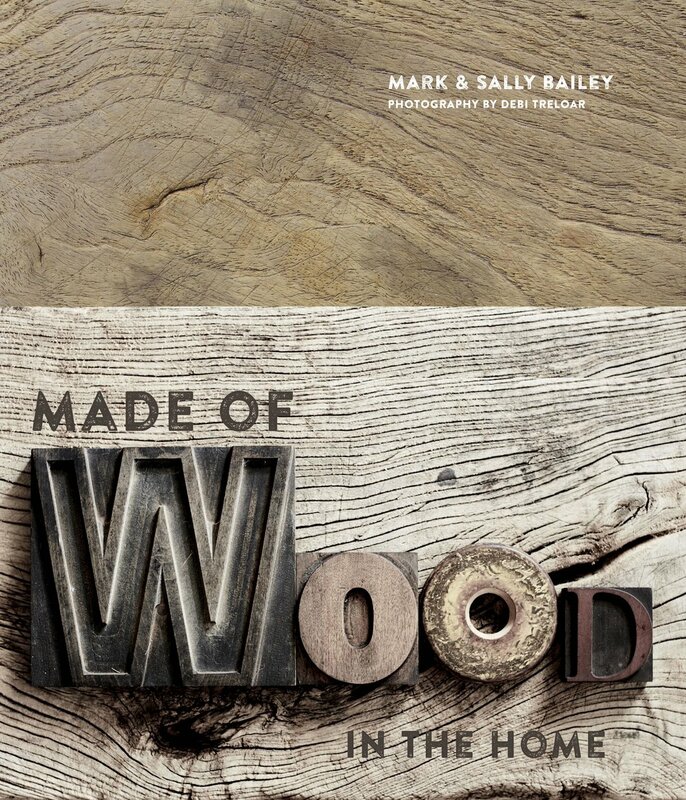 About a year ago I received a very pleasant request if I would like to contribute to a book on the material wood, by the legendary Mark and Sally Bailey. The two have worked with recycled wood in their interior projects for more than thirty years, and the material forms a large part of what they sell in their store. In previous books they have featured themes as recycled, natural, simple and imperfect, now they wanted to make a book that focused on wood. I chose to invite them to our mountain cabin, which is based on different woods from Norwegian wood (both new and recycled). In full winter the photographer Debi Treloar, Mark Baileys and I spent two exciting days together in the mountains. There were huge amounts of snow (which made the trip both exhausting with a lot of snow shuffling, and I guess exotic). Now I am so pleased to show you the result as the book, titled "Made of Wood" is released. Our cabin bedroom. Photo from the book “Made of Wood” by Mark og Sally Bailey, photo by Debi Treloar, copyright Ryland Peters & Small. Photographer Debi Treloar has been Bailey's regular photographer on all their book projects. When presented for her amazing skills, it is easy to understand why they choose her. Wood is a beautiful and durable material. It is flexible, and the many different sort have different characteristics and expressions. Not least, it is an environmentally friendly material that contributes to a good indoor climate. In addition to our cabin, the book contains one more story from Norway, the very beautiful home of textile artist Heidi Bjørnsdotter Thorvik (VØLT). I'm grateful to be included in this exclusive assembly of extremely inspiring interiors, and for being able to inspire others to choose beautiful, lasting and natural materials. The more than 100 years old barn wood in our cabin kitchen balanses the rough concrete. 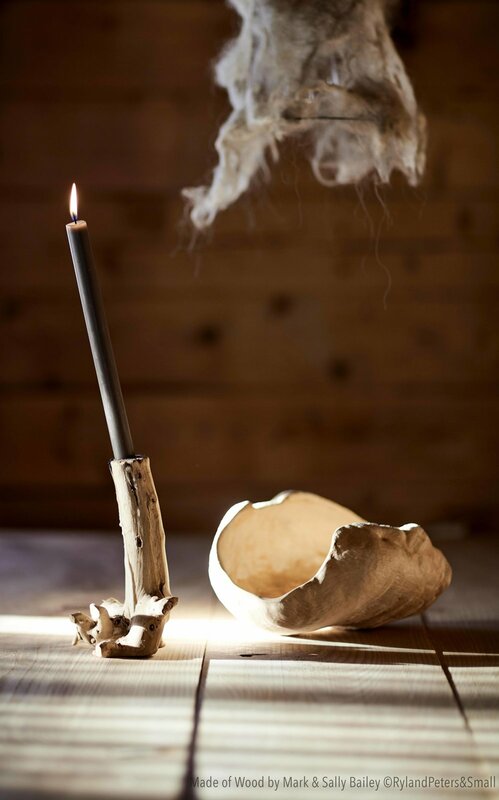 Photo from the book “Made of Wood” by Mark og Sally Bailey, photo by Debi Treloar, copyright Ryland Peters & Small. The book is a beautiful and inspiring homage to wood´s many unique features in the interior. It can be ordered directly from the publisher Ryland Peters & Small and from baileyshome.com. All photos from the book are by Debi Treloar and are published with kind permission from the publisher Ryland Peters & Small.